Many of us have heard of a dozen red roses for Valentine’s Day, but what about if you received a box of donuts instead? 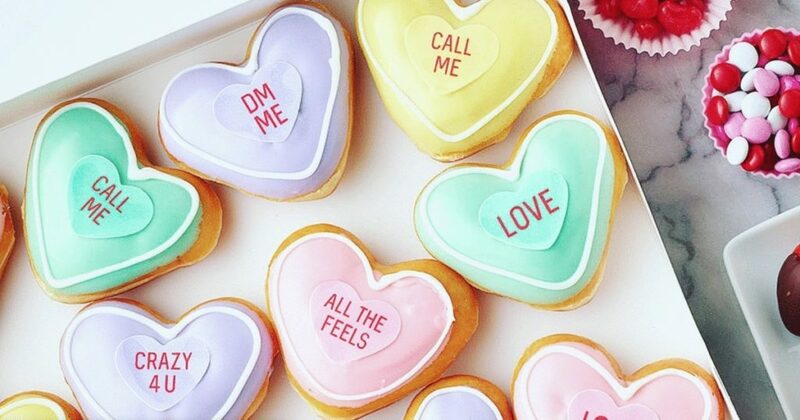 Thankfully, this donut company has come up with an ingenious way to start conversations on Valentine’s Day. Sweethearts have been the candy that many of us have turned to on Valentine’s Day over the years – especially as they can be the perfect ice breaker for anyone wanting to talk to their crush. Unfortunately, 2019 marks the first year in decades that we won’t be handing out the sugared candy to our beloved. The company was bought last summer, but Spangler Candy, the new owners, didn’t have enough time to meet the demand. They were forced to hand over the Valentine’s reins. As well as bringing our favorite catchphrases back to life, Krispy Kreme has also come up with a range of flavors to keep us fulfilled this love-filled season. 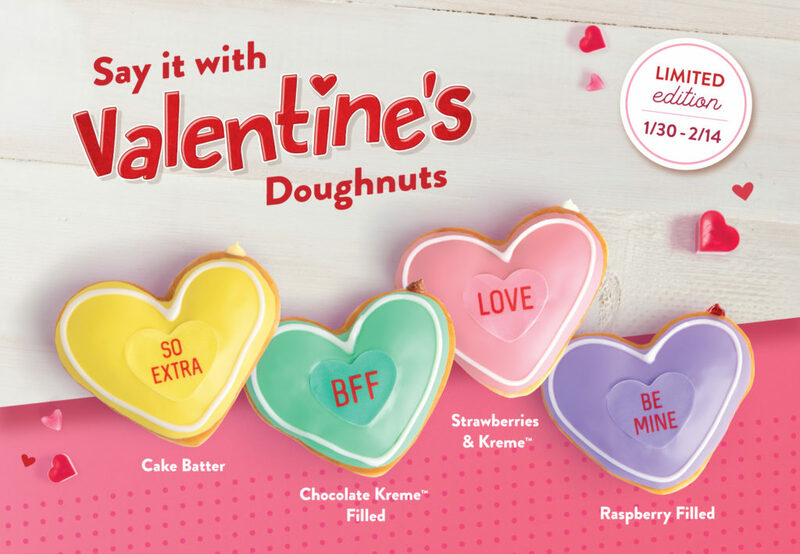 As well as raspberry and chocolate kreme, donut lovers will also have the choice of strawberries and kreme and cake batter to fill their dough balls of perfection. The donuts are then topped with pastel icing before they each get their own message on the top. If you want to join in on the donut fun, then you might want to move quickly. 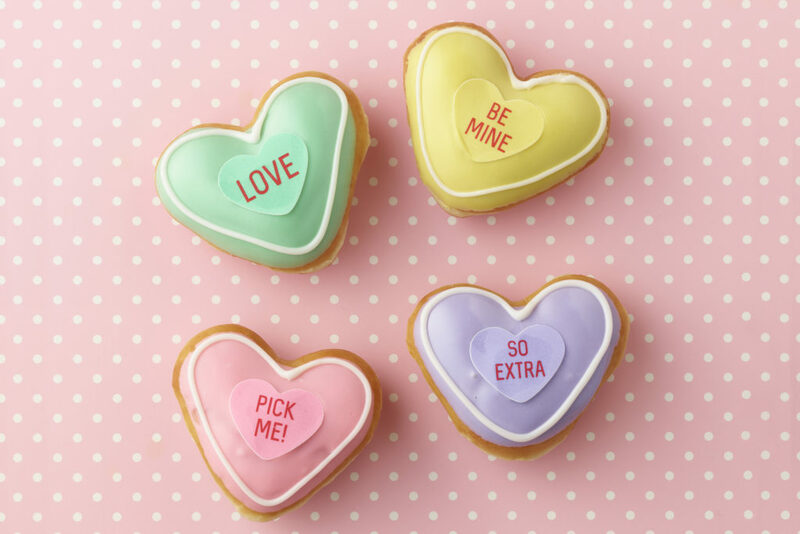 The sweet treats will be in the stores from January 30 and are set to disappear once Valentine’s Day has come and gone. However, one box a day is enough to see you out with 192 donuts to mark the occasion. That sounds like a pretty fair deal, right? There is only one question: will anyone ever find out if we order the boxes for ourselves? Of course not. Go donut mad while they’re still around – you know you want to.